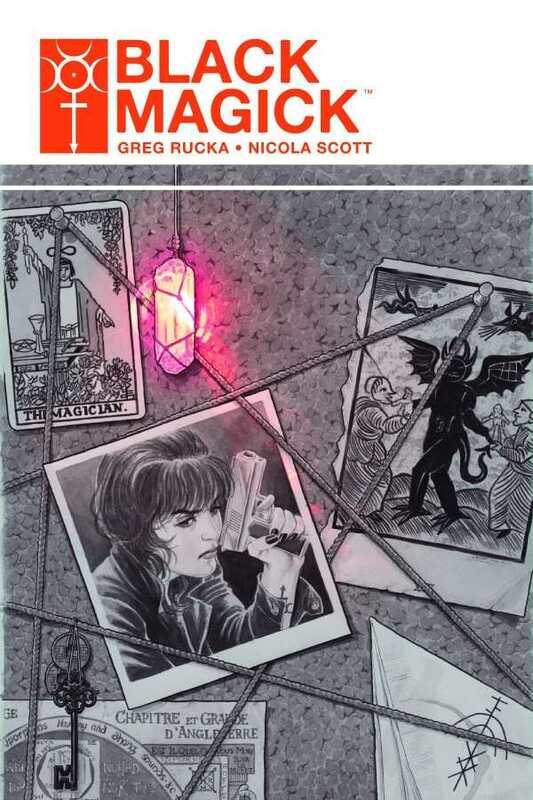 Rowan Black, a practicing witch who’s also a police detective, is being hunted by friends and allies alike in the second volume of Black Magick, Greg Rucka and Nicola Scott’s noirish take on spells and sorcery. Much of Black Magick is structured like a well-crafted police procedural, as Rowan investigates the death of a man who’s somehow connected to her long history of witchcraft. She’s got a rich supporting cast, including a partner who’s worried about her and a fellow witch who’s her confidante. Bits of information are revealed piece by piece—including a flashback to Rowan’s initiation into witchcraft—as the stakes build to a major confrontation. Along the way, there are plenty of nice touches that give a sense of immersion into this world, including “found” accounts of character history, not to mention the flat-out delight of a talking black cat. The book’s artwork is striking, with excellent, bold linework mostly rendered in black, white, and shades of gray. The visual signature of this series, however, is the sparing but stunning use of color to show the use of magic and draw extra attention to a scene; the relative scarcity of this technique in the book’s pages makes it all the more powerful, and it’s a brilliant way to allow readers a glimpse into the secret sigils and wards that populate the story while also emphasizing their invisibility to nonmagical characters. With a strong female lead, outstanding art, and a story that blends the best elements of two genres, Black Magick is uniquely entertaining.